The geography of the book is as old as the history of the book, though far less thoroughly explored. Yet research has increasingly pointed to the spatial dimensions of book history, to the transformation of texts as they are made and moved from place to place, from authors to readers and within different communities and cultures of reception. Widespread recognition of the significance of place, of the effects of movement over space and of the importance of location to the making and reception of print culture has been a feature of recent book history work, and draws in many instances upon studies within the history of science as well as geography. 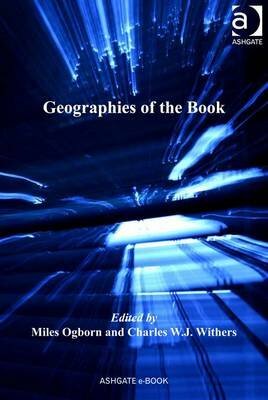 'Geographies of the Book' explores the complex relationships between the making of books in certain geographical contexts, the movement of books (epistemologically as well as geographically) and the ways in which they are received.